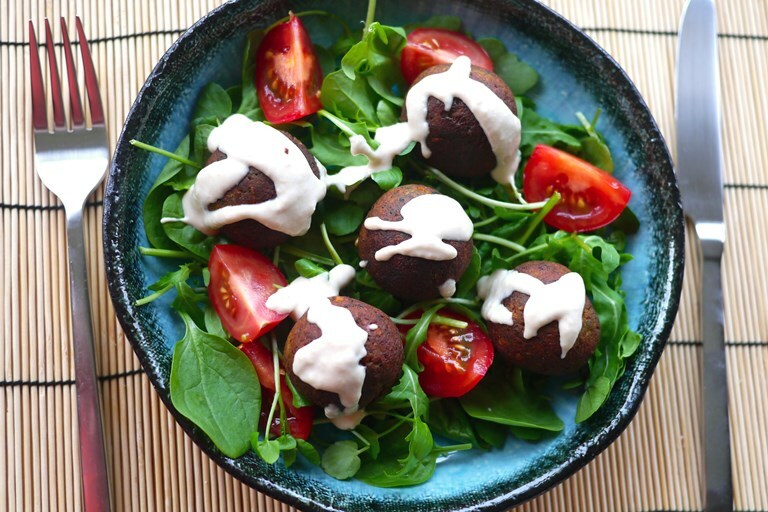 Falafel is versatile, easy to make and inexpensive. Serve them with crisp salad leaves, warm pitta and a tangy tahini dressing for a satisfying lunch, or try making a big batch to enjoy throughout the week. Victoria adds sweet potatoes to boost the flavour of her falafels, keeping them deliciously moist. These deep fried spicy patties can be enjoyed by everyone, from vegans and the gluten intolerant to the meat-eating masses, like me. These ones have the extra interest of sweet potato, which, aside from adding a pleasant flavour boost, also keeps the falafel mixture deliciously moist. Falafels are having something of a renaissance of late. No longer the preserve of vegetarians, everyone wants in on the action. You can find all sorts of exciting variations, often involving root vegetables, from carrots and squashes to beetroots or even parsnip and ginger. Who said you shouldn’t play with your food? Falafels can be dull if not given the right care and respect. Chickpeas, although nutty and full of vegetable protein, are not going to set the world on fire in the flavour stakes. At least, not without a little help. I know 5 cloves of garlic sounds like a lot, but trust me on this one, falafels, like Buffy the Vampire Slayer, need a lot of garlic to stand up for themselves. Herbs and spices too, should not be skimped on, especially if, like me, you have an aversion to bland food. It’s definitely advisable to fry off a teaspoon of the mixture to taste for seasoning, before committing to cooking the whole lot. And a whole lot there certainly is. Falafels are cheap as chips to make and a single tin of chickpeas can be enough to feed at least eight people. You can easily make them a little bigger and pat them down to make hearty veggie burgers, or make them mini to turn them into canapés. 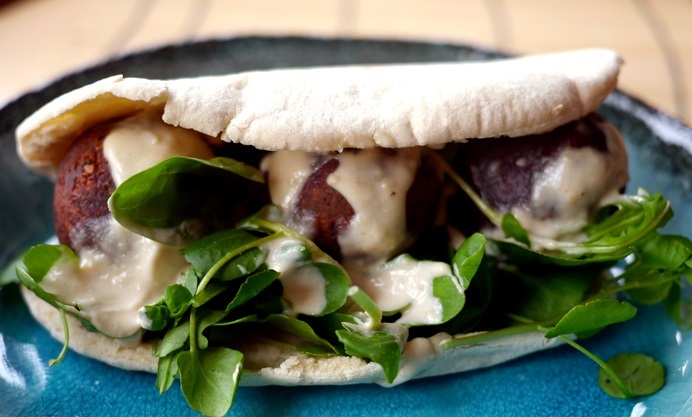 Tasty and economical, a good falafel recipe should be in everyone’s repertoire. I like to serve them with a simple tahini sauce made of light tahini, lemon juice, a little crushed garlic, salt and pepper and enough water until it’s about the consistency of pouring cream. Just mix it all up and taste for zest and seasoning, before drizzling it over your falafels.